How much do you spin at once? I am a short burst spinner. I like to spin two bobbins with an ounce each, then ply and let it dry. That usually can be done in an evening and then I can get to the knitting faster :-). Over the past few days, I did something totally different for me…but something I see on many of the blogs I follow. I grabbed a beautiful 4 oz braid of roving, spun as thin as I could (I have some work to do on that..) and Navajo plied it. And my pretty yarn. 220 yards..a good sport weight for socks. So, now I am curious. How much do you spin at a time? This entry was posted in Spinning and tagged handspun, knitting, Spinning by Leah. Bookmark the permalink. Lovely yarn! 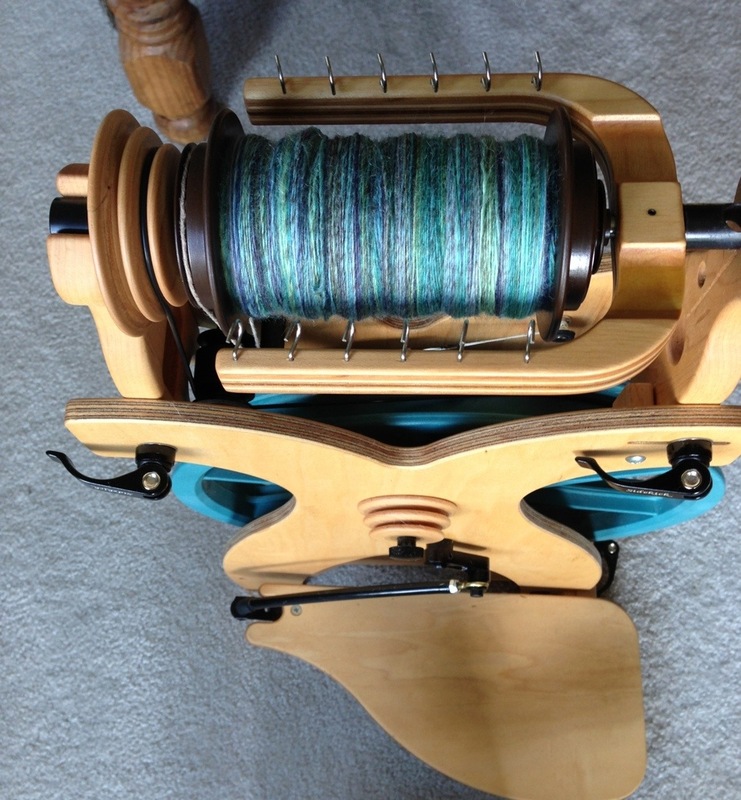 How much I spin depends on the project, but I generally prefer to cram my bobbins full. I could see myself spinning all the singles for a sweater, then have a ply-day. I am not a fast spinner, since I tend to focus on one project at a time, and in the summer I sew, and sew. Spinning tends to wait for me until the Autumn and Winter months, when I don’t sew as much and I am able to relax with my fiber. The yarn is just lovely by the way :0) m.
I tend to spin a bunch all at once or over a few days. I like to let my singles sit on the bobbins or on storage bobbins for a few days or weeks and don’t usually ply them right away. I wanted to wait to ply..but I was too impatient! 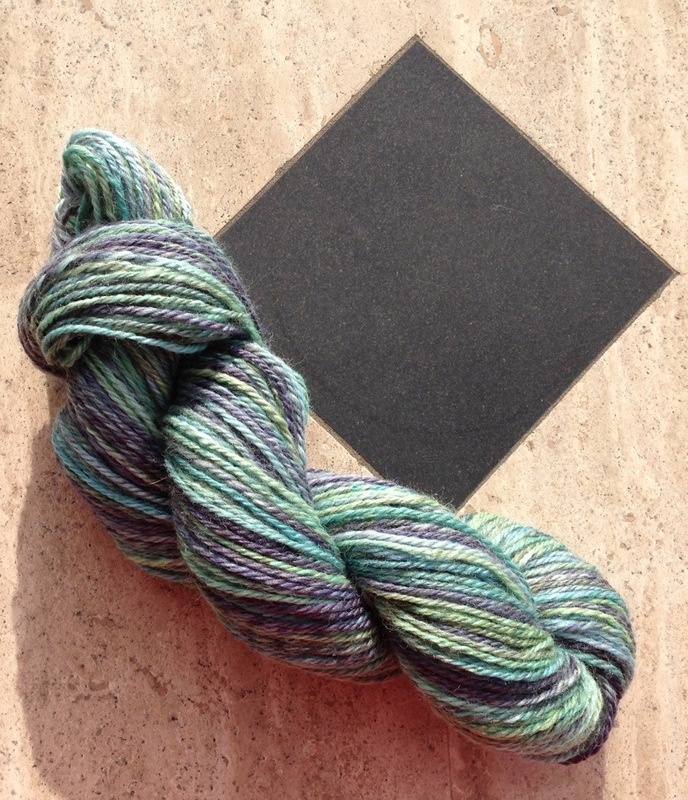 It takes some time to ply 4 oz straight! Gorgeous! Where is that from? I usually spin 4 ounces at a time. Sunset Fibers on etsy! She’s from the northwest, and I bought it at the Shepherd’s Extravaganza. Thanks, I will have to check out her shop! Really love the colours in this. I bet it knots up beautifully.